For those who assumed it is over after tasting the bitter part of the global economic recession, or those with afflictions, diseases or failures in life, they should note that God has created another opportunity for solace, succor, blessings, breakthrough etc, in a programme organized by the anointed man of God, Pastor (Dr.) Chris Oyakhilome, tagged ''A night of Bliss''. ''A night of Bliss''will hold on the 31st of July 2009 (tomorrow Friday) from 10pm till dawn, at the CHRIST EMBASSY Oregun Road, Alausa (LCC3: Christ Embassy -Main Auditorium). No doubt it is worthy to appreciate God for the humility and success of the founder of Christ Embassy, Pastor (Dr.) Chris Oyakhilome. Beyond what people can ever imagine especially cynics and vituperative critics, in few years, the Christ Embassy has phenomenally grown from a campus fellowship of few hundreds to a standardized international ministry making world-wide impact, for soul winning, miracles, bible teachings, salvation for human kind, and publications of numerous Christian literatures that aid spiritual growth, among other things. In every nooks and crannies of the world, the positive impact of the man of God has often remained a remarkable experience. He preaches Jesus and the Holy Spirit as though they live together. Since the debut of his TV programme in 1996, the ministry has remained on the cutting edge platform, pioneering new ways of doing things in Christendom that has become the envy of long established television stations. It has the largest Christian television network in Africa, and with its satellite station, it is arguably reaching out to over a quarter of the world's population. 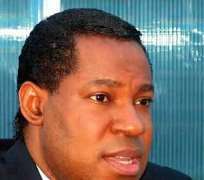 Aside miracle healing, Pastor Oyakhilome has ostensibly been seen to mean many things to different people. To some, they see him to be controversial, some call him a philanthropist and an orator and to others, he is 'mysterious'. But men should however beware not to malign or speak foul of the anointed men, as God cuts off his overwhelming grace from those who blasphemes.